Plunge Into The World of Trading! Frankly speaking, technical analysis, due to its depth and complexity, is often seen as magic. Therefore, when it comes to Technical Analysis A to Z, it may be regarded as a bible-like assistant or a full encyclopedia of market indicators for calculating and explaining each trading tool. The introduction to the whole technical analysis issue along with indicators, trends, oscillators, and etc. will be of vital interest for every beginning investor. For example, those who are new to the trading world should first learn about Technical analysis, which by examining stock price trends predicts the future prices. In other words, technical analysis is a basic approach to investing or a so-called “study of prices with charts”. Charting becomes of vital use when there is a strong need in examining and comparing both market conditions and price behavior of the particular securities. So, its main principle is that when any trend has been formed, it has to remain intact until broken. There are two main techniques used: the study of key indicators, and the charting of market activity. 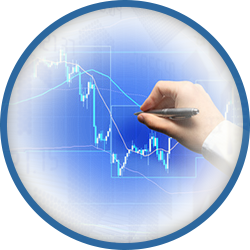 However, when it comes to technical analysis in details, there are a number of common key indicators that are implemented. They include the following: trading volume, market breadth, the put-call ratio, the cash position of funds, Odd-lot theory, and short selling. As you can see, to get started you should have at least some basic knowledge and understanding. Plus, it is really important for the newcomer to explain all complex technical indicators in a simple language. However, one must admit that even expert technical trader should not stop learning to feel more confident in investing. Indeed, there are always ways to pick up some useful information, for example, when it comes to equity valuation, chart pattern or swing trading. Therefore, everyone who is interested in trading, supply and demand issues need a good collection of tools to serve as a reference for anytime use. And that is where technical analysis becomes of vital use.